A personal collection of memorabilia has been carefully put together by Bill Klassen auctions for presentation and is selling online with bidding closing at 10AM Central Time on Saturday, March 12th, 2016. 100 Lots are up for grabs in this Saturday morning auction. There is a large selection of jerseys, a collection of valuable hockey cards, as well as figurines, photos, and hockey themed dollars. 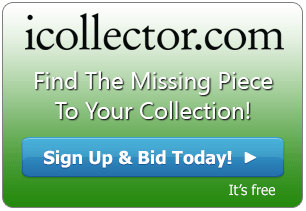 This collector has offered several interesting rookie cards in the auction that will all sell to the highest bidder. There are two dozen to chose from and add to the collection. There are some O-Pee-Chee rookie cards for Hall of Famers Patrick Roy (Lot 1), Dale Hawerchuck (Lot 5), Brett Hull (Lot 8), Paul Coffey (Lot 13), Mark Messier (Lot 31), and Darryl Sittler (Lot 36). 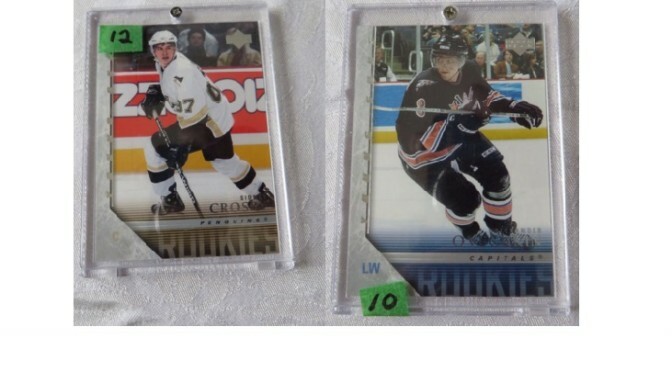 Lot 33 combines two cards into one price with O-Pee-Chee rookie cards for Joe Sakic and Mats Sundin. There are also many rookie cards from current players produced from Upper Deck. Offered up for auction are such names as Cam Ward (Lot 2), Marc Andre Fleury (Lot 3), Jonathan Toews (Lot 6) and Patrick Kane (lot 350, John Tavares (Lot 7), Alex Ovechkin (Lot 10), and Sidney Crosby (Lot 12). There are several full sets available throughout the sale. Lot 15 offers a 1991-92 Upper Deck complete set, and Lot 16 offers a 1992-1993 Pinnacle set. Further on there is Lot 19 with a 1992-93 Fleer Ultra Set and Lot 20 with a 1991-92 O-Pee-Chee Premium set. Also up for grabs are some more Upper Deck sets including 1990-91 (Lot 21) and 1994-95 (Lot 22). There are well over a dozen quality hockey jerseys to bid on as well. An iconic #4 Bobby Orr is up at Lot 56 and a great #87 Sidney Crosby can be found at Lot 57. Brent Seabrook from the Blackhawks is ready to go at Lot 58, and future Hall of Famer Vincent Lecavalier’s #4 with Tamp is available at Lot 61. There is also a jersey with Steve Yzerman’s #19 (Lot 64), and Scott Neidermayer’s #27 with the Ducks at Lot 67. All cards, jerseys, and memorabilia have photos available in the online catalog. All items will sell to the highest bidder and this will be a great place to pick up values at auction. Bill Klassen Auctions is pleased to answer any questions via email or telephone, and registration and absentee biding is encouraged as soon as possible. All pieces hammer down to the high bidder at closing time.